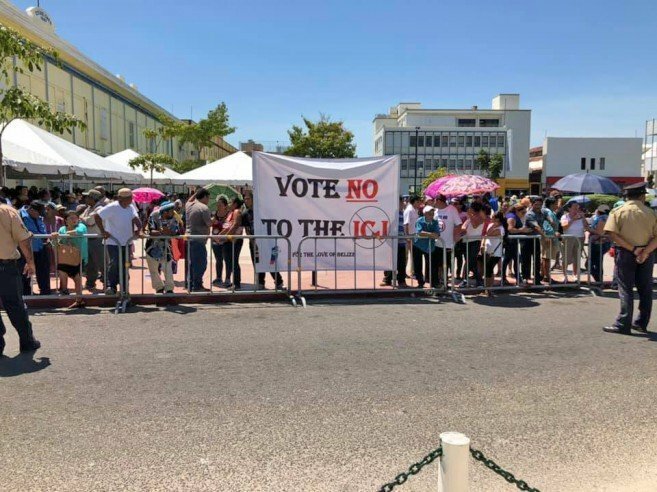 Inside a packed Supreme Court, Senior Counsel Eamon Courtenay represented the PUP, while Senior Counsel Lisa Shoman led the ruling United Democratic Party (UDP) in the legal battle to hold the referendum on April 10th. Around 2PM, the Chief Justice began reading the judgment, and after 45 minutes the session concluded that a technical defect in the writ of the referendum, which does not propose a settlement, was a reason to grant the injunction, thereby holding off the referendum. Courtenay explained to the media the main argument that led to the court’s decision in favor of the PUP. According to him, before a referendum of such magnitude is held, there needs to be a resolution of the National Assembly stating that the issue of national importance, and thus, a referendum, must take place. “The Government went under Section 2.1.D, which provides that if there is a proposed settlement, that that settlement is put to the people for their approval or their rejection. I pointed out to the Chief Justice in arguments that there is no proposed settlement, and for there to be a settlement, you need to know the terms,” explained Courtenay. He added that this was key in Chief Justice Benjamin’s decision. Courtenay added that such irregularity also violates the Referendum Act. “If the Prime Minister wants to have this referendum lawfully, he should move the resolution, first of all, under Section 2.1.A, but that requires a debate in the House of Representatives, and a resolution passed,” Courtenay continued. 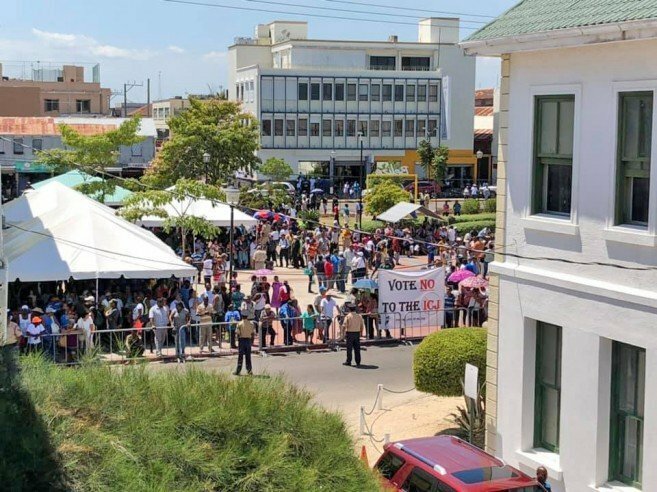 “It is quite obvious that he's afraid of it because there are members in his party that might not support him,” Courtenay said that Barrow has been acting anti-democratically and has not respected the Constitution and the Referendum Act. UDP defendant Senior Counsel Shoman stated that she was disappointed with the outcome. However, she stated that the PUP has only managed to postpone the referendum and that they did not succeed with the main legal arguments. Shoman said that according to the Chief Justice there is no serious issue to be tried, and the only matter in question at the moment is whether the writs are valid. “If the court says that they are in order, then we are having a referendum,” said Shoman. “The only issue is when that will take place,” Shoman added that they will apply to the court for a variation of the Order in an attempt to still hold the referendum on April 10th. “The only difference is that the Chief Elections Officer would not certify the results unless we have looked at the validity of the writs,” said Shoman. This proposed appeal was refuted by the PUP, who asked the UPD to respect the court and the rule of law. Following the court hearing, Prime Minister Barrow called a press conference outside his office at the Laing Building in Belize City. He expressed his disappointment with the court’s decision but was very optimistic that the referendum will still take place on its due date. “We may have lost a battle, but we will absolutely win the war,” said Barrow. The UDP leader said that they would appeal to the Supreme Court’s decision as soon as possible, hoping to get a favorable result. 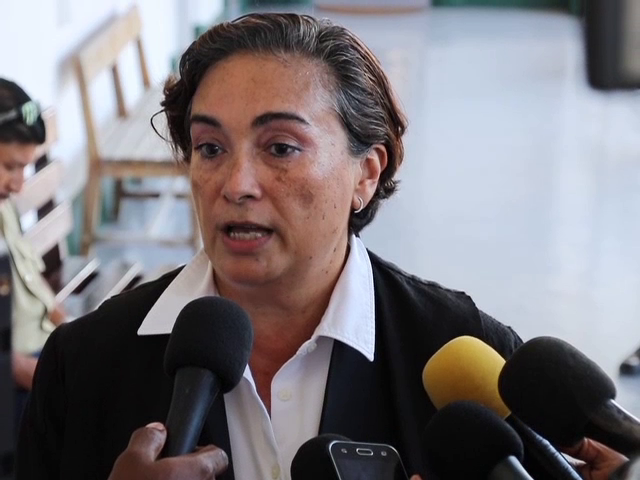 Barrow indicated that they would prepare for Monday, April 8th to fight the substantive matter of the case, hoping that by Tuesday, April 9th, the Chief Justice can have a decision, given the urgency of the situation. “I would certainly expect such a decision to in fact ultimately uphold the referendum on Wednesday, April 10th,” said Barrow. In the case that his team cannot convince the Chief Justice to allow the referendum to be held on the designated date, Barrow expects that any postponement will be short term. 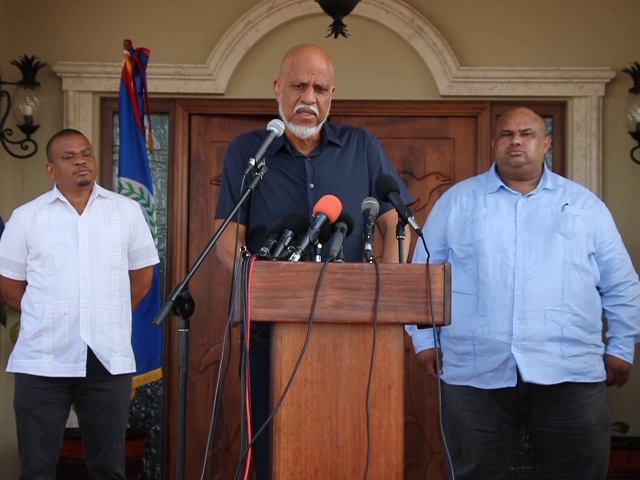 In regards to the alleged error when he sent the Writs to the Governor General for signature, Barrow said that he acted under the advice of the Chief Elections Officer. “I was assured that in fact legal advice had been sought and so I followed their wording to the letter,” he said. 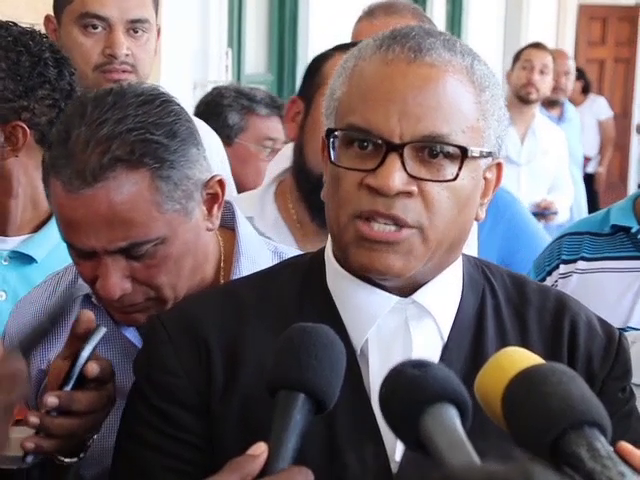 Both parties will return to the Supreme Court on Monday, April 8th, where the UDP will attempt to change the verdict and proceed with the referendum as scheduled. While it is uncertain whether the referendum will take place or not, preparations at Elections and Boundaries continue as per normal. Late on Thursday evening, April 3rd, a memo from the Chief Elections Officer was leaked, stating that based on legal advice they were proceeding with the referendum agenda. The letter urged Elections and Boundaries personnel to be fully prepared if the court changes its Order and the referendum is to proceed on April 10th.